Reliability Guaranteed! Mark Williams Warranties Gears Against Breakage For 2 Years With 11″ Rear End! Sep 17, 2018Brian Lohnes1320 Drag News, 1320 New Drag Race Products, 1320 Sponsor News, BangShift 1320, BangShift XL, New Products, Sponsor News, XL New Truck ProductsComments Off on Reliability Guaranteed! Mark Williams Warranties Gears Against Breakage For 2 Years With 11″ Rear End! If we didn’t know Mark Williams or understand the products that the company which bears his name produces we would think that the guy was a complete lunatic for placing a two year warranty on the gears which fill his 11″ rear ends. These are components designed to take the abuse of thousands of horsepower in funny cars, dragsters, pro mods and more. It is like placing a safety guarantee on a bunker that you know an airplane is going to drop bombs on. You either know the thing can take it or you don’t. Mark Williams knows that the thing can take it and the design, manufacture, and engineering has been proven not only in the shop but in the field of drag racing battle. Check out the full story below. This is about the most awesome warranty and product confidence statement we have ever seen. Bad to the bone! Here’s the full scoop from Mark Williams Enterprises – This is awesome. 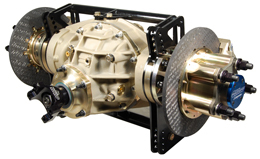 Got lots of power and tired of “feeding” ring & pinion gears to your race car? Get an MW 11″ rear end and say “goodbye” to expensive parts attrition. Compare the purchase price and annual operating expenses of MW’s 11″ rears versus other options on the market, and you’ll be amazed at the overall savings. • Pro Mod, Pro Boost, High HP Outlaw, etc. 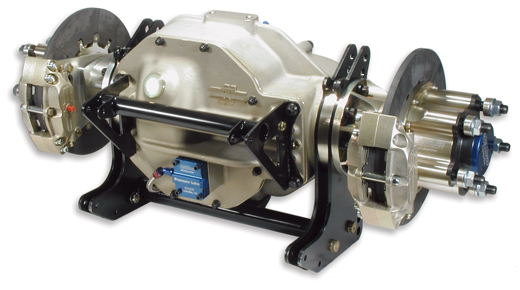 So, if you have serious horsepower thanks to blowers, turbos, and nitro-methane, MW can help you harness it.